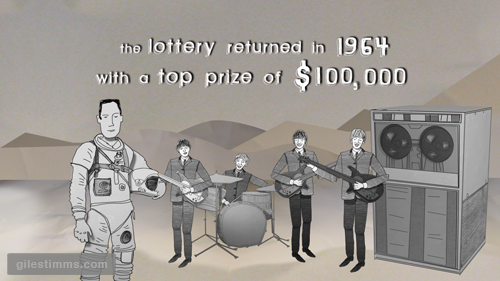 The above is a still from one of the animated sequences I illustrated and animated for Jeffrey Blitz’s new documentary, Lucky. Lucky premiered at Sundance 2010. I was fortunate to work again as an animator and illustrator with Bill Barminski from Walter Robot on this production and it was also great working with Jeffrey Blitz. I found Jeffrey to be a very intelligent and challenging director. The sequences were animated in After Effects, with the illustrations drawn and colored/textured in photoshop. I’m excited to see the full film. Please leave a comment if you’ve seen the film and let me know what you thought, thanks.